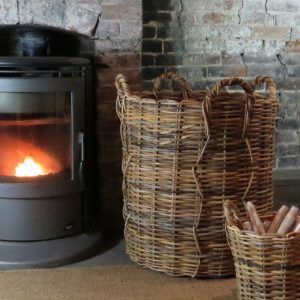 Probably the strongest and definitely the greenest wicker baskets on the planet ! 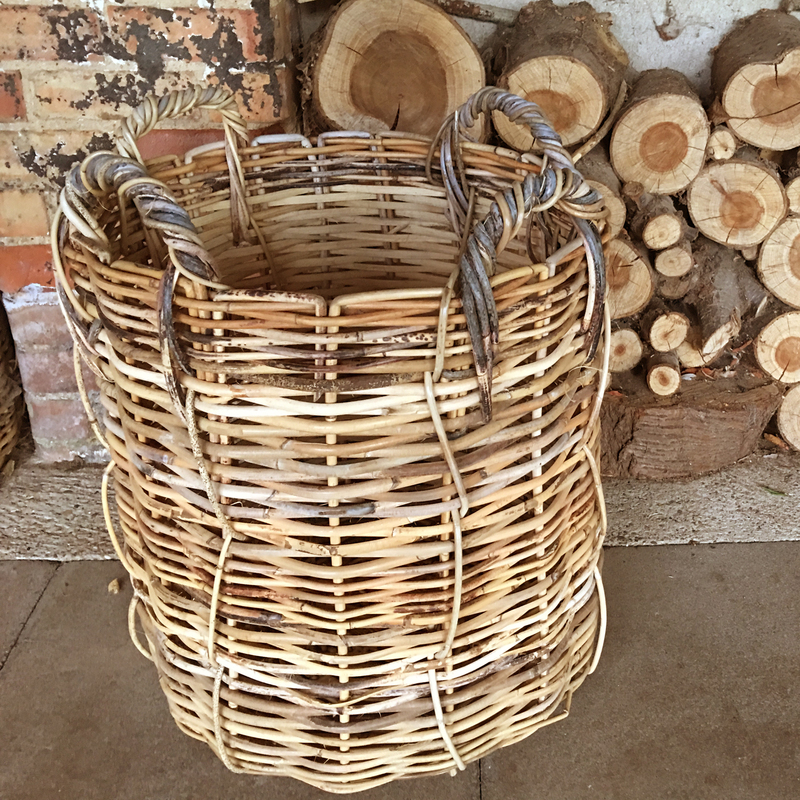 These strong wicker rattan baskets are woven from naturally mottled rattan vines which cannot be sold as a raw material due to their random colour. 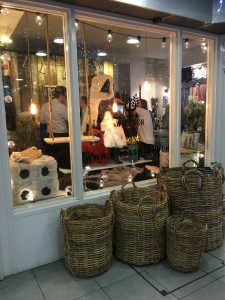 The large baskets have 4 handles woven into the structure of the basket following a traditional Dayak rubber collectors basket design. They can be used inside as log storage baskets or outside as rattan planters. 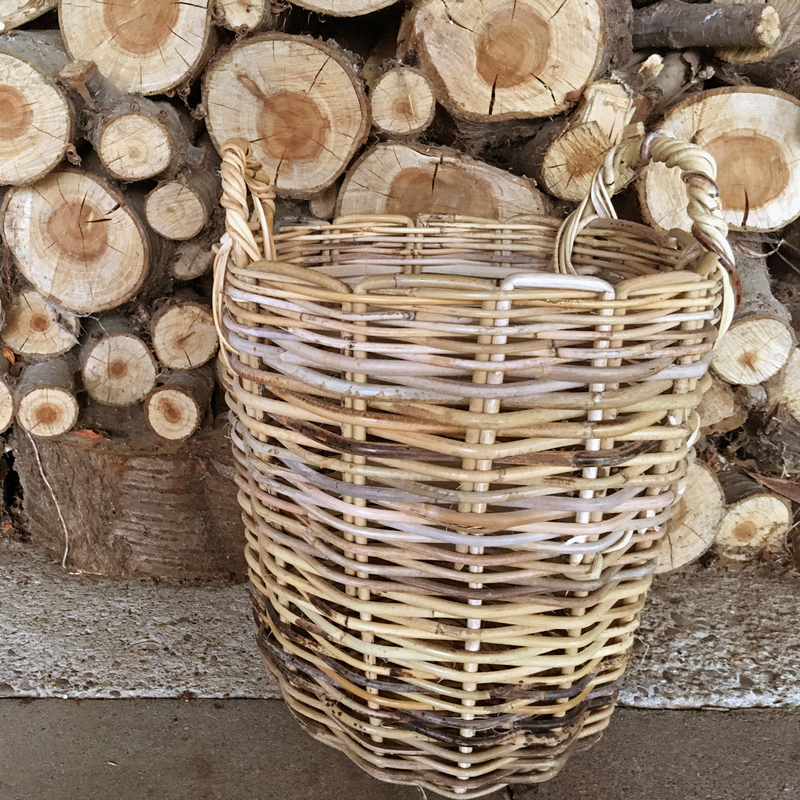 Rattan is cultivated and harvested in the rainforest without causing damage to the trees. 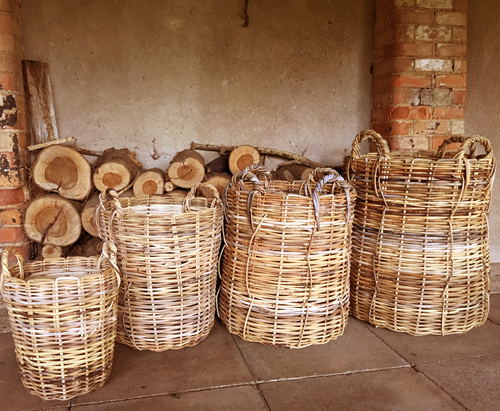 Emily is working with marginalised farming communities to develop rattan products that can be exported directly to the global market and add value to the rattan they cultivate. 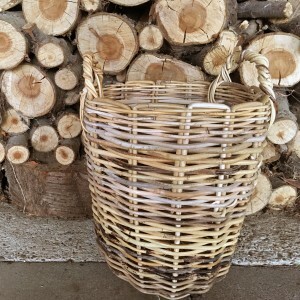 It is part of a larger forest conservation initiative called the Katingan Project. 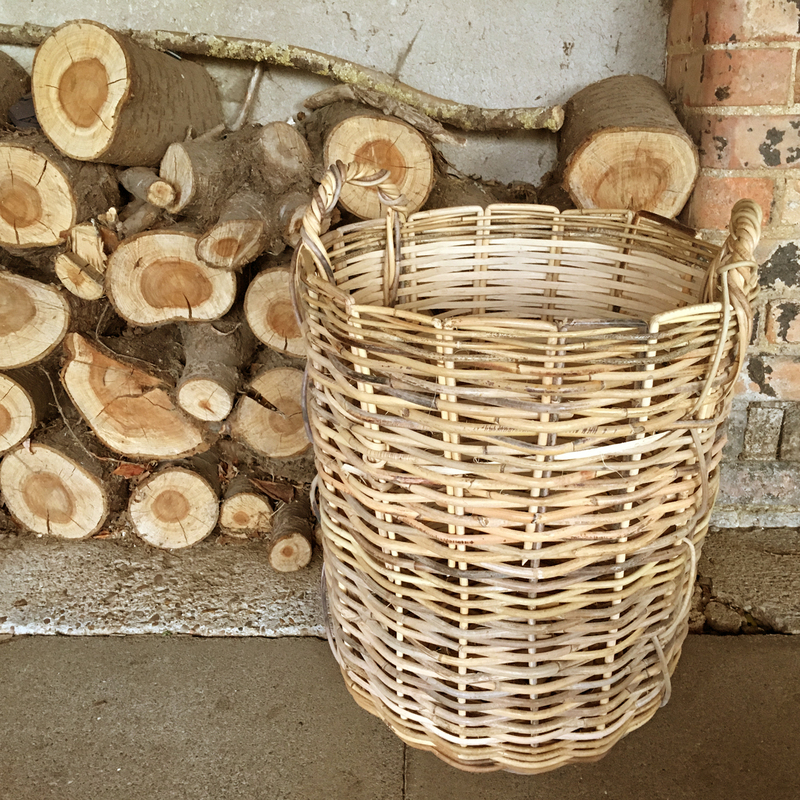 We have sold out of our smallest baskets but have plenty of extra large and giant baskets which are perfect for drying logs. 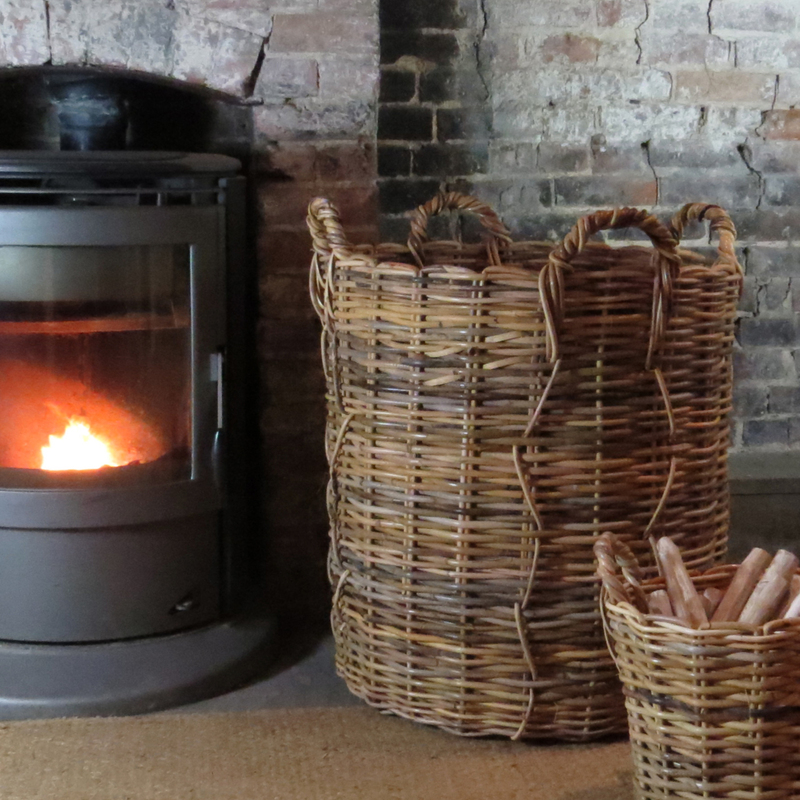 This is important, as burning dry logs reduces the amount of carbon released. Contact us directly on +44 7802 732753 or see below for stockists. 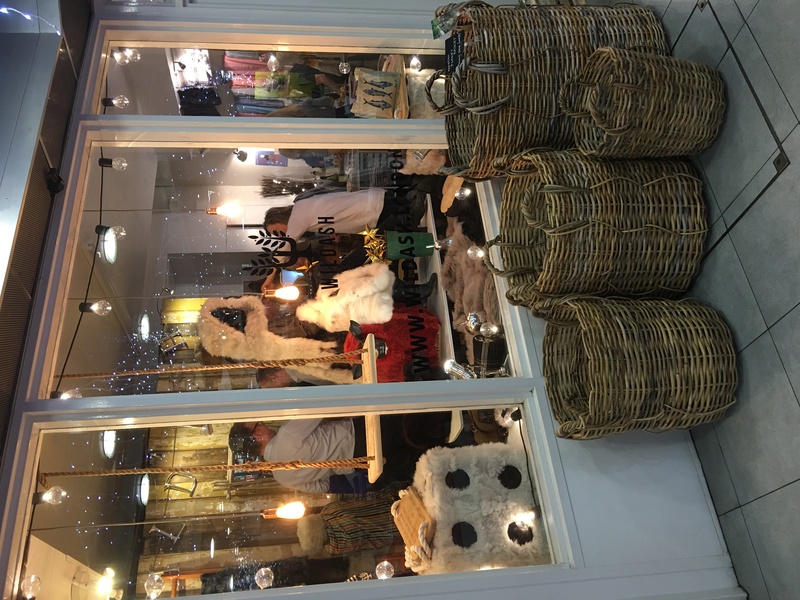 Emily Readett-Bayley is really excited to join the Bermondsey Uprising Community Market. 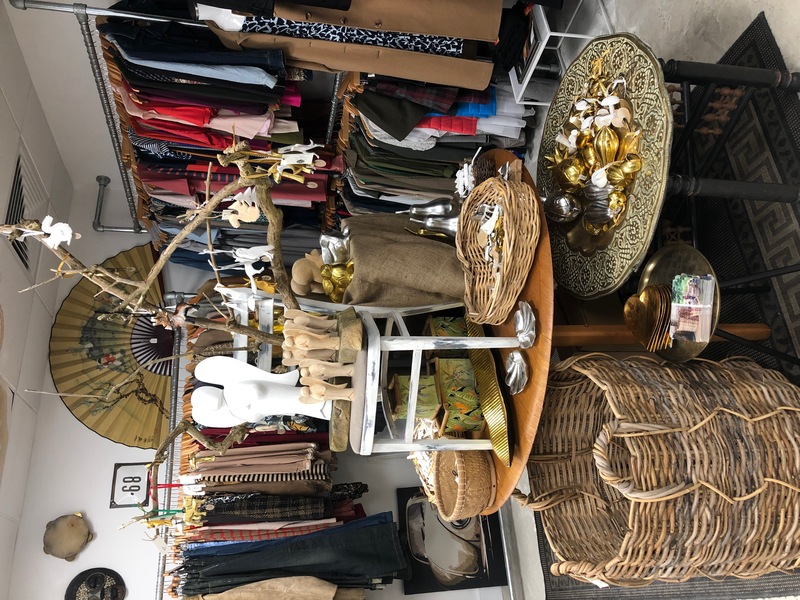 The shop has a great mix of antiques, vintage clothing, Converse trainers, quirky ceramics and handmade Christmas decorations all with a local connection. 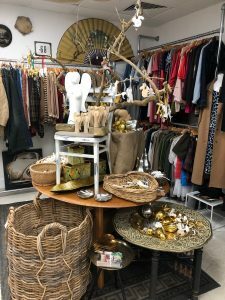 It is a new initiative to encourage creatives and retailers to start up on The Blue in the heart of Bermondsey which is just a mile east of the now uber trendy Bermondsey Street and Ropewalk. Red Dot Gallery is situated in the centre of the lovely North Norfolk town of Holt famous for its array of independent shops; you’ll find us just across the High Street from Bakers and Larners. 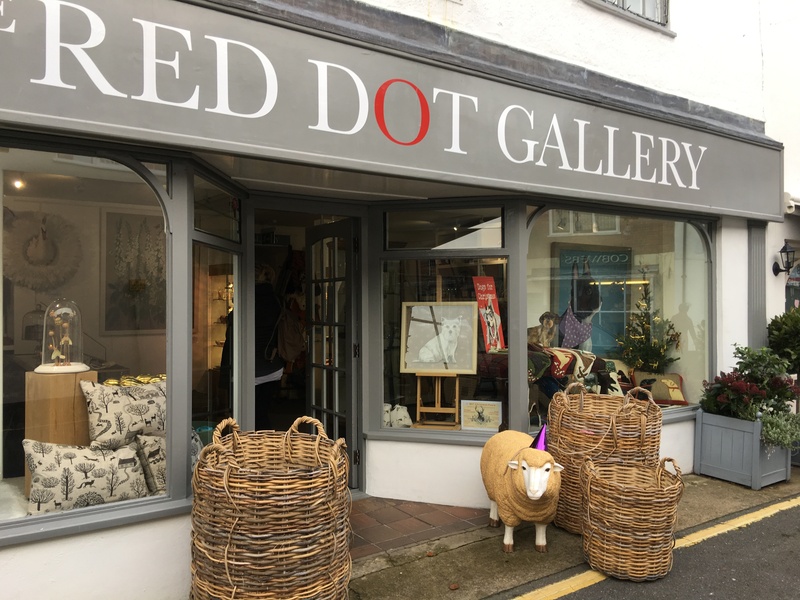 Shows an eclectic mix of original art, exclusive editions, sculpture, ceramics along with a selection of gifts and cards – two floors of colour and creativity. 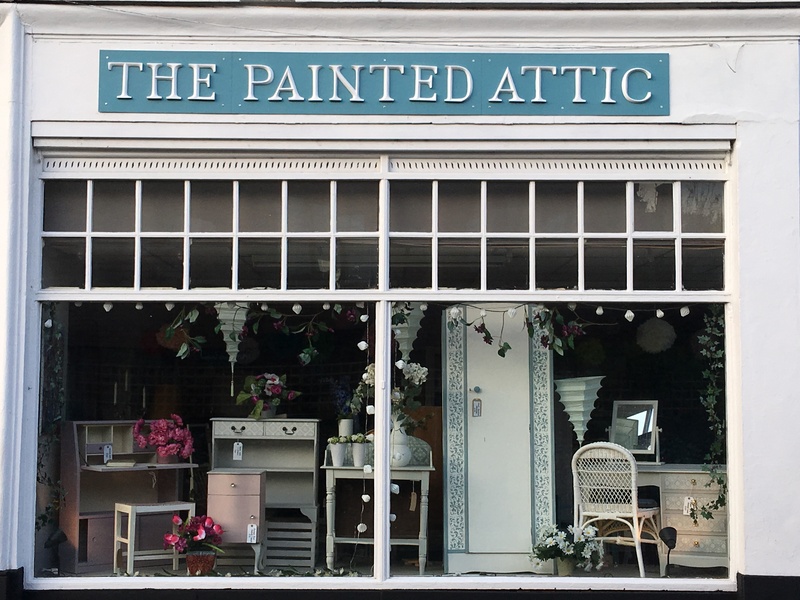 The Painted Attic is a studio/shop specialising in painted furniture. 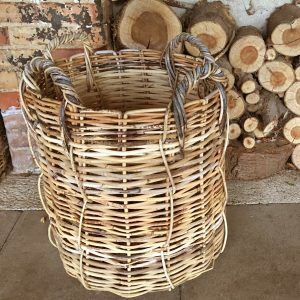 As well as the pieces in the shop which are for sale, commissions are also taken. 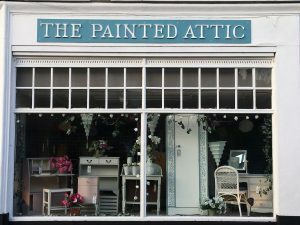 There is a wide choice of colour, style and stencils available to ensure your old furniture is given the new lease of life it deserves. Lettering also by Emily Readett-Bayley- many alphabets are available from poshgraffiti.com.